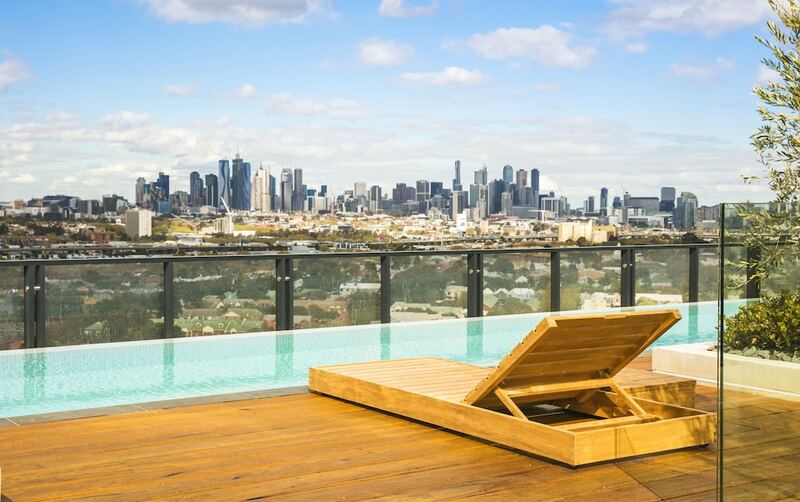 Situated in Northern Suburbs, this apartment building is within 2 mi (3 km) of Royal Melbourne Showgrounds, Flemington Racecourse, and Royal Children's Hospital. University of Melbourne and Queen Victoria Market are also within 3 mi (5 km). Newmarket Station is 11 minutes by foot and Showgrounds Station is 10 minutes. A restaurant, an outdoor pool, and a fitness center are available at this smoke-free apartment building. WiFi in public areas is free. Additionally, a bar/lounge, a coffee shop/café, and a rooftop terrace are onsite. Each apartment provides a kitchen with a refrigerator, an oven, a stovetop, and a microwave. For a bit of entertainment, a Smart TV comes with Netflix, and guests can also appreciate conveniences like a washer/dryer and a coffee/tea maker. Quest Flemington Central features an outdoor pool and a fitness center. Dining options at the apartment include a restaurant and a coffee shop/café. A bar/lounge is on site where guests can unwind with a drink. Wireless Internet access is complimentary. This Northern Suburbs apartment also offers a rooftop terrace, tour/ticket assistance, and barbecue grills. Limited onsite parking is available on a first-come, first-served basis (surcharge). Quest Flemington Central is a smoke-free property. Billy's Trackside - Onsite restaurant. Open daily. Start your morning with a full breakfast, available each day from 7:00 AM to 10:00 AM for a surcharge. This property's policy is to refuse certain bookings for the purpose of group events or parties, including pre-wedding stag/bachelor and hen/bachelorette parties. Only registered guests are allowed in the guestrooms. Parking height restrictions apply.